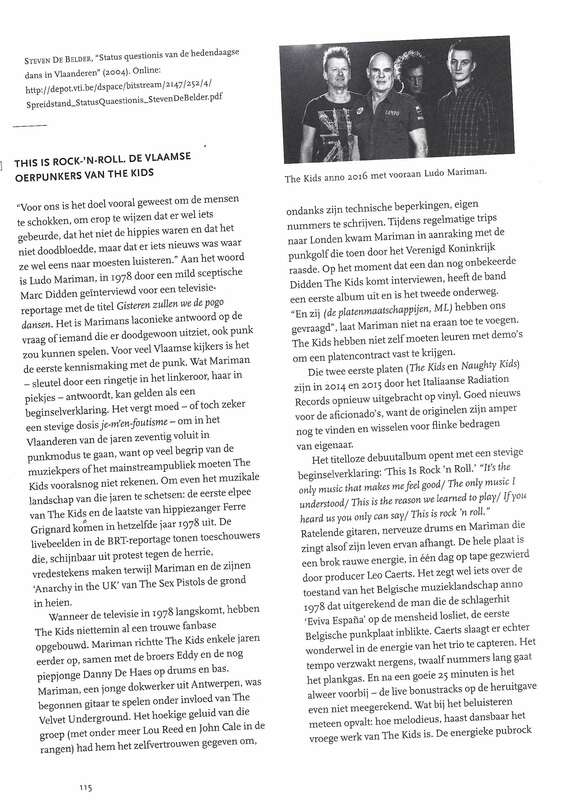 The Belgian punk band The Kids founded by Ludo Mariman made their debut in 1978 with their landmark titleless album, for sure deserving to be part of the global top list of great seventies punk albums. After another 4 studio album the band called it a day.. to resurface good ten years later at the end of the 1990’s . 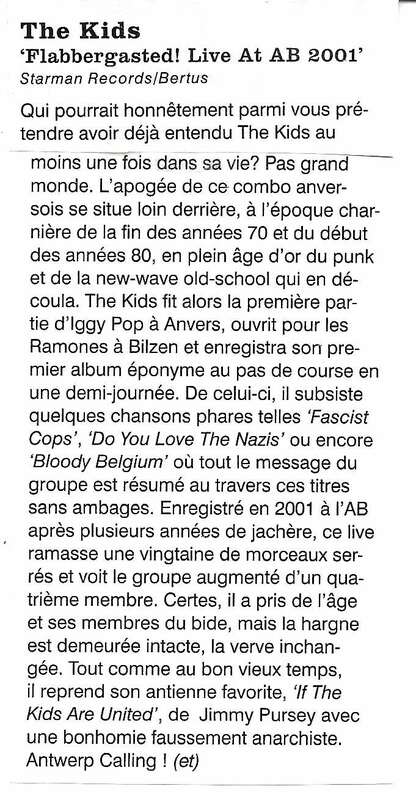 Since then The Kids became an international cult punk band much in demand in Belgium and abroad (USA, Germany, France, Italy, Japan…) mainly focussing on their initial seventies punk repertoire, with many classic songs which survived effortless the ravages of time. 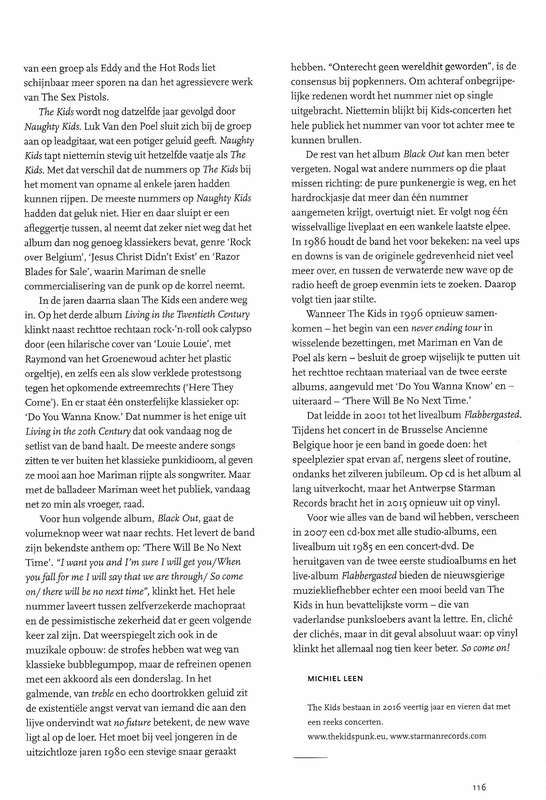 The Kids are still the most angry Belgian band which says a lot about the eagerness and sharpness of Ludo Mariman and his mates. 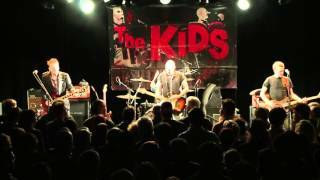 The Kids for sure still are an absolute top band !